A star was born at WonderCon. Or at least a Stargirl. DC Universe’s new original series won’t arrive until 2020, but fans were given an advance look at series star Brec Bassinger. 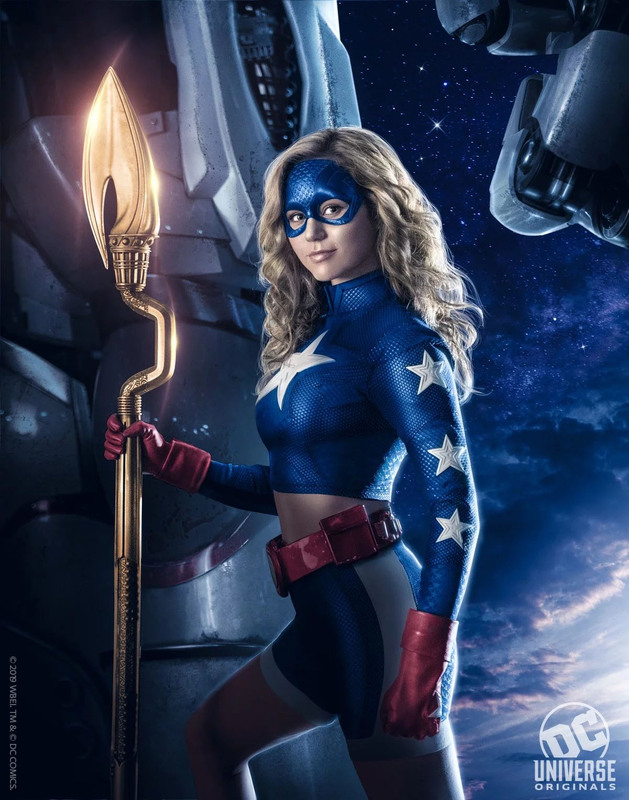 In the newly released picture, Bassinger’s Courtney Whitmore is in costume as Stargirl, and she’s holding the Cosmic Staff that empowers her. It’s a largely accurate to her design in the comics, including the bare midriff. You can see the full picture below. Stargirl co-creator Geoff Johns is showrunning the series, which will take place in Blue Valley, Nebraska. Courtney and her family move there when her mother marries Pat Dugan (Luke Wilson). Shortly thereafter, Courtney discovers Dugan’s past as a superhero and uses the Cosmic Staff to turn herself into a hero as well. Amy Smart is playing Barbara Whitmore, Courtney’s mother. Trae Romano is rounding out the Whitmore/Dugan family as Mike, Courtney’s new step-brother. Within the comics, Courtney’s status as a legacy hero earned her a place in the Justice Society. The Stargirl TV show has already lined up a few members of the Justice Society, including Joel McHale as Starman. However, McHale’s character, Sylvester Pemberton, was known as the Star-Spangled Kid in the DC comics. Lou Ferrigno Jr. is also on the show as Hourman/Rex Tyler, alongside Henry Thomas as Dr. Mid-Nite/Charles McNider. Neil Hopkins’s Sportsmaster is one of the show’s primary villains, alongside Tigress (Joy Osmanski) and Dragon King (Nelson Lee). Meg DeLacy will play Courtney’s rival, Cindy Burman a.k.a. Shiv. Glen Winter is directing the pilot episode, and the first season will be filmed this year. 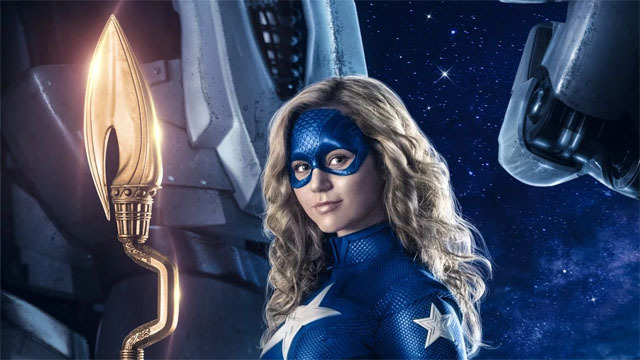 What do you think about the first look at Brec Bassinger’s Stargirl costume? And what do you want to see in the series? Let us know in the comment section below!